A new custom guest house inspired by Southern Craftsman style architecture. 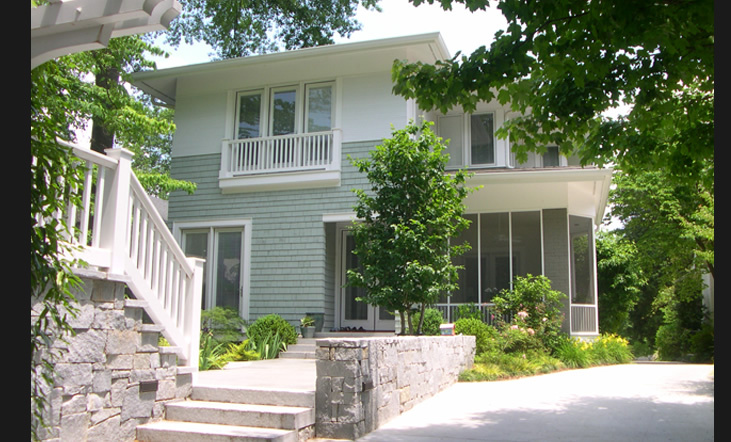 This urban residential design takes advantage of it's narrow lot through the use of inventive programming. The two-car carport doubles as a covered outdoor patio / entertaining space. The guest house above takes advantage of adjacent park views. An "outdoor living room" with exterior fireplace links the guest and main houses.